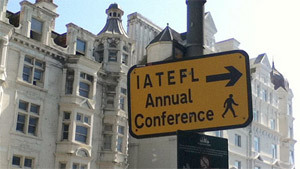 This entry was posted in Conferences, Methodology, Resources, Talks, Teacher training, Teachers, Technology, Video and tagged Harrogate, IATEFL Conference. Bookmark the permalink. Really sorry to have missed your presentation, David. Thanks for making the PPT available here; much appreciated. Most of the stuff is written up on the blog, Adam. It was great finally to meet up in person.